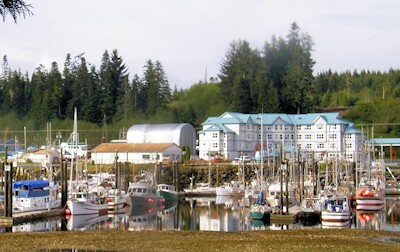 Port Hardy is often used as a "jumping off point " for those wanting to explore the wonders of the northern part of Vancouver Island; breath taking scenery, beaches, great sportfishing, whale watching and wildlife. 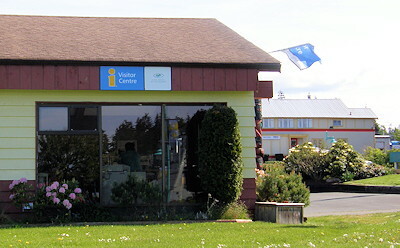 The Port Hardy area itself has much to offer the visitor; museums, arts and crafts shops, local Native artisans, walks along the seawalk or along the beautiful Quatse River. And don't miss Storey's Beach. 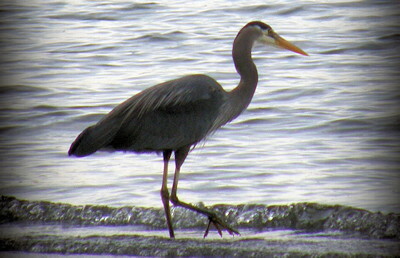 Birdwatchers and nature lovers will by intrigued with the number and species of birds including eagles, herons and kingfishers at the sanctuary preserve on the south side of town. On one of the oceanside nature paths the visitor has a good chance of sighting a seal, sea-lion or otter. Salmon fishing is particularly exciting with the catches plentiful and prize winning. A very popular activity is to take the ferry through the 274 nautical mile long Inside Passage to Prince Rupert and enjoy the scenic grandeur of one of the world's most beautiful ocean voyages. 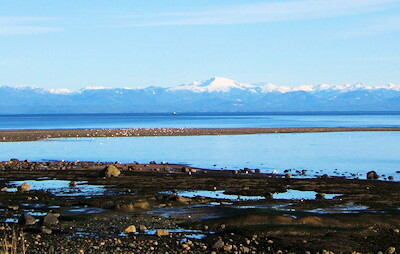 Access: Port Hardy, BC, at the northern terminus of the Island Highway is 36km north of Port McNeill, on Highway 19. 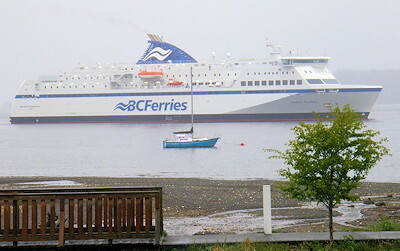 Regional airlines and BC Ferries also service the area of Vancouver Island. 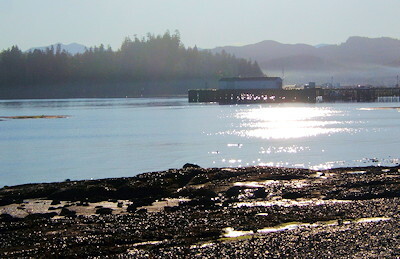 Port Hardy is the southern terminus of BC Ferries' spectacular "Inside Passage" route to Prince Rupert. Recreation Facilities & Activies: Area golf courses, fishing, bird watching, biking, hiking, camping, sightseeing, wildlife viewing, whale watching, diving, and kayaking. 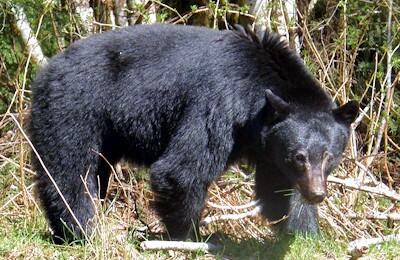 Local Attractions: Cape Scott Provincial Park, North Coast Trail, Storey's Beach, Fort Rupert Big House, Historic Museum, Quatse River Fish Hatchery, Quatse River Nature Trail, Sea Walk, bird estuary, local and native crafts, Inside Passage Ferry trip. 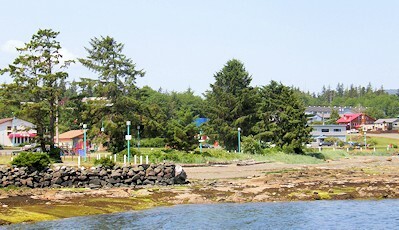 Accommodations: Visitors to Port Hardy will enjoy a variety of tourist services and lodging. Choose from hotels, motels, hostels, or perhaps try a bed and breakfast establishment. There are RV and campsites nearby.